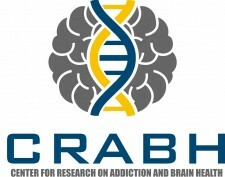 San Diego, CA, January 22, 2018	(Newswire.com) - Center for Research on Addiction and Brain Health (CRABH), a recently developed 501(c)(3) nonprofit research organization investigating therapies to improve brain health, addiction recovery and age reversal, is hosting the first ever NAD Summit on the West Coast. The organization launched fall of 2017 with the help of volunteers, who have eagerly collected published research on the health benefits of intravenous Nicotinamide Adenine Dinucleotide (NAD+) therapy. Over the decades, a specific protocol, known as Brain Restoration Plus, developed by Springfield Wellness Center, has helped many physicians create consistency during administration. One such clinic, NAD Treatment Center, located in San Diego, California, has helped hundreds of patients break free from the cycle of addiction by following the established Brain Restoration Plus protocols. The NAD Treatment Center has partnered with CRABH to help create awareness of this extraordinary therapy by participating in clinical studies. To register for the NAD Summit, or for more information, visit www.nadsummit2018.com. To inquire about video recordings or press passes, please contact tara@brainresearch.center. All contributions are welcome and donations are tax deductible. Located in San Diego, the Center for Research on Addiction and Brain Health is a 501(c)(3) organization researching new and innovative therapies for chronic conditions, longevity and addiction. In conjunction with the NAD Treatment Center and Springfield Wellness Center, the Center for Research on Addiction and Brain Health is currently investigating intravenous NAD+ to evaluate its role in anti-aging and addiction. For additional information, visit us online at Brainresearch.center. About NAD+ ​(Nicotinamide Adenine Dinucleotide) is a simple metabolic coenzyme of Niacin, a B Vitamin that is involved in energy production for every mitochondria within our bodies. Research has shown that people afflicted with addiction and age related conditions have an NAD+ deficiency. Intravenous treatment replenishes the supply of neurotransmitters and promotes healthy brain and cellular function. It is based completely on nutrients that are found naturally in a healthy body.